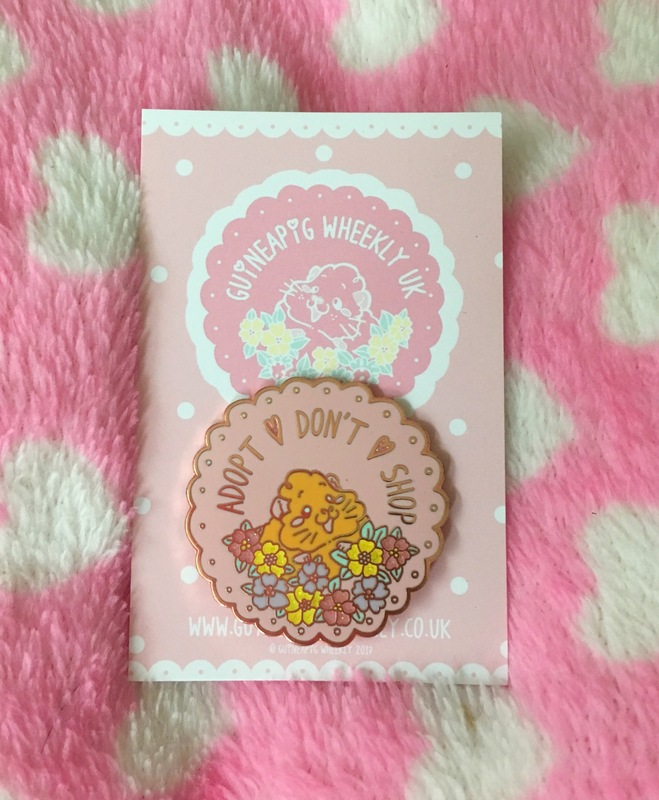 Today we are reviewing the GuineaPigWheekly Adopt Don’t Shop Pin Badge. Displays the important pro-rescue slogan “adopt don’t shop”. Two different colour options. Pink or blue. £1 of each sale goes towards TEAS Guinea Pig Sanctuary. Pin it anywhere that will make you happy. We all know that adopting a Guinea Pig from a rescue is the best way of ensuring that you are giving a home to a piggy in need. 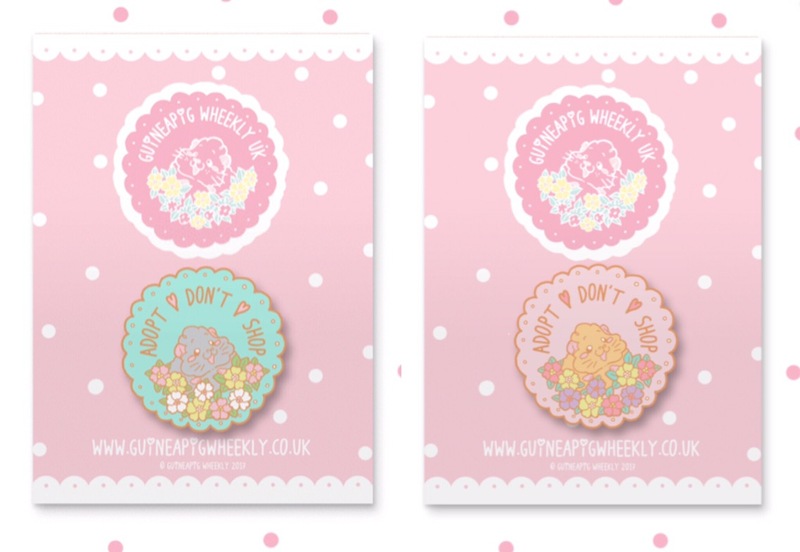 Featuring a happily adopted Guinea Pig drawn in GuineaPigWheekly artist Katie Leonard’s characteristic kawaii style; the Adopt Don’t Shop Pin is both cute and charitable. 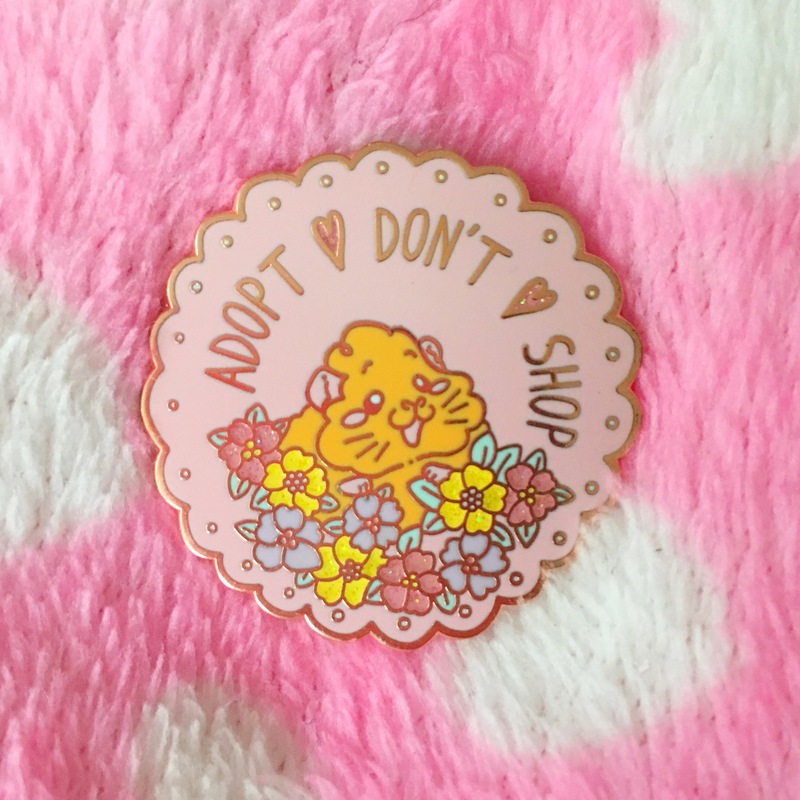 £1 from each sale goes towards a Guinea Pig sanctuary meaning that not only are you helping to spread the “Adopt Don’t Shop” message but you are also directly helping to support Guinea Pigs in need. 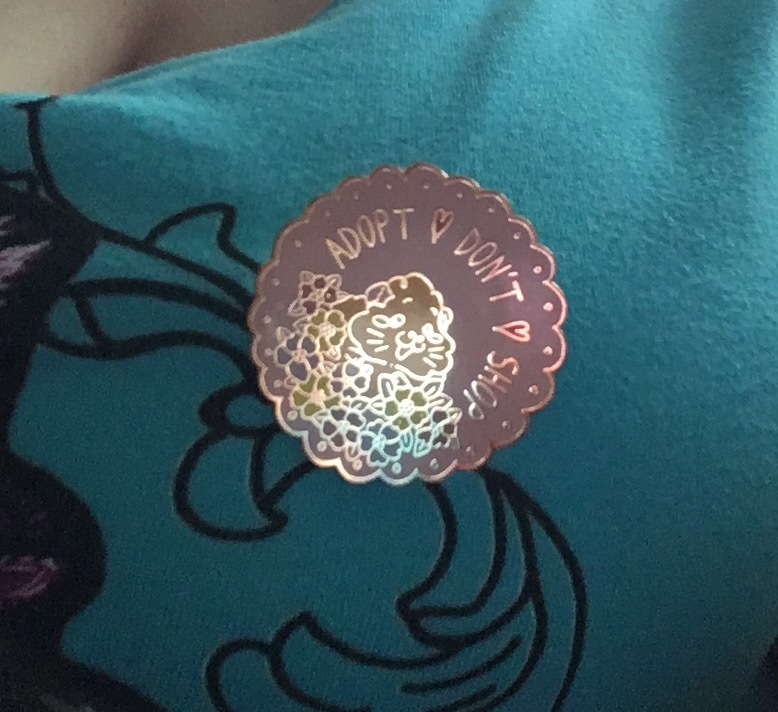 The pin itself is available in two colour options, we chose the pink but the blue is equally lovely. The rubber stopper is safe and secure and does a great job of keeping the pin neatly positioned. 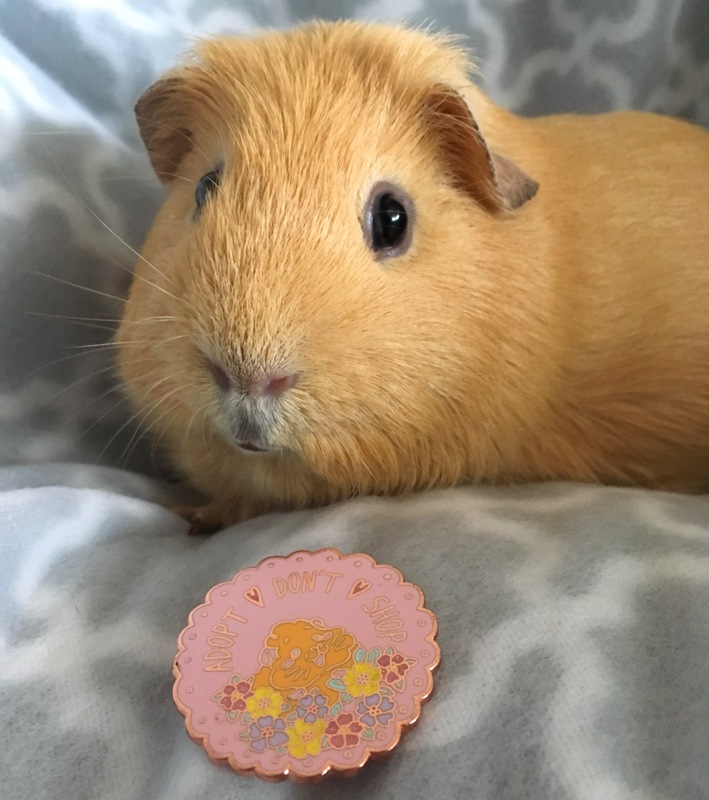 If you do happen to lose it you can purchase additional backs at the GuineaPigWheekly store. I really like the rose gold detailing on the badge. The linework is clear and alongside the glitter enamel it looks great when it catches the light. Cute, and charitable. What’s not to love? !